Soft shore protection in Mason County. Native plantings can help stabilize the slope above the beach and absorb groundwater. Real estate agents know that our region’s prosperity is closely tied to the health of the Puget Sound ecosystem. Simply put, if orcas and salmon are thriving, so is our economy—and the market for waterfront property. Buyers look to their realtor as a trusted source of information about waterfront living and what it takes to manage beachfront property. This gives every realtor a tremendous opportunity to educate buyers about their crucial role as stewards of Puget Sound. The story is straightforward: Marine creatures feed on small fish that need healthy beaches and marshlands to survive. Salmon need shallow waters to travel to and from their spawning ground. When bulkheads displace eelgrass and kelp beds, degrade the beach, and prevent the natural movement of sand and sediment, the entire food web is disrupted. From insects to seabirds to orcas, every species suffers. Fortunately, homeowners can protect the value of their property while also safeguarding the health of Puget Sound. 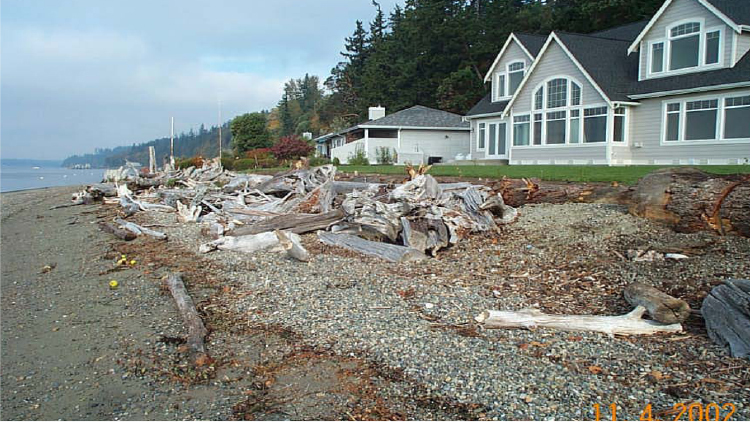 Sellers who have a failing bulkhead or an unprotected waterfront in a high-erosion zone can install soft shore protection, which might include native plants and log berms. These options are usually much less expensive than replacing or building a bulkhead—and they do not depreciate the way bulkheads do. A softer shoreline also has greater “curb appeal” for many buyers. Buyers will find it reassuring that soft shore protection requires little maintenance and that ordinary erosion does not reduce the value of waterfront property. 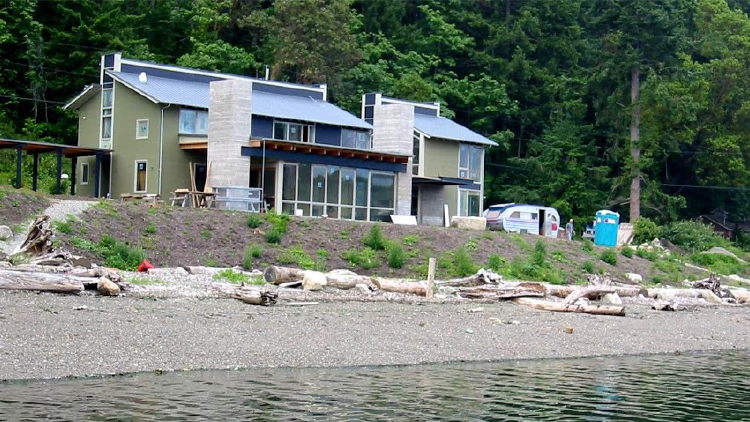 Some Puget Sound counties and municipalities even offer tax breaks to waterfront property owners who take measures to protect habitat—an added enticement that might help a realtor make a sale. Realtors can direct sellers and buyers alike to the many free resources available to help them make decisions about their real estate investments. Along with this website, a great place to start is the Your Marine Waterfront booklet. Washington Realtors and Washington Sea Grant are developing a training curriculum on soft shore protection that will provide realtors with continuing education credit. For more information, please contact either organization. Waterfront homeowners often turn to contractors first when they have concerns about erosion protection, especially if their bulkhead is damaged or failing. They want practical and affordable solutions, of course, but many of them are also committed to being good stewards of the Puget Sound ecosystem. Contractors who can offer the entire range of options—including replacing a bulkhead with soft shore protection—are in the best position to gain new clients. They can also benefit indirectly from programs that provide property owners with grants and permitting assistance for environmentally-friendly erosion control projects. Start by directing clients to this website and to the Your Marine Waterfront booklet. For a wealth of technical information on site assessment, soft shore design techniques, drainage solutions, and other shoreline management practices, see the state’s Marine Shoreline Design Guidelines.